A local property owner is seeking the right restaurant as a tenant for the former home of Las Vetas Lounge, a prime downtown site that has been vacant for two years while going through a major renovation. "I want somebody who has experience and a following," said John Karageorge, a Fairfield native who owns several commercial properties around town. "I really love the town and care about who's going in there." After Las Vetas vacated the space in October 2009 and moved to a new venue on Unquowa Road, Karageorge received town approval to change the use from retail to restaurant so that William Auer and Susan Dederick, owners of Centro Ristorante & Bar, could open an all-natural eatery there. Karageorge said he then embarked on a renovation that entails installing a 1,000-square-foot in-ground basement with water pumps, new electrical wiring and new gas lines for the proposed restaurant. The building has also been leveled to prevent flooding from the street and its 1,500-square-foot main level will be made handicapped accessible, he said. Karageorge said he also received approval from the Zoning Board of Appeals for a 300-square-foot addition in a patio area between the former Las Vetas venue and an adjoining space owned by Karageorge, that has been occupied by an Eliza B. shoe store since Chroma Cards moved out two years ago. ZBA also approved a variance for more seating in the former Las Vetas site and another six parking spaces in addition to the nine spaces previously allowed through a waiver, he said. Karageorge said Auer and Dederick also expressed interest in the installation of a rooftop patio, but they backed out of their plans for the proposed restaurant about a year ago. Even though that deal ended, Karageorge said he continued with the upgrades by Ridgefield's Grasso Builders and expects them to be done by December. Karageorge said the proposed rooftop patio, which would also need ZBA approval, has attracted the interest of many local restaurant owners, but he said he is not sure if he wants to invest the time and expense in building it. "I'm right on the cusp," he said. "If I can get the right guy to take it the way it is, I'd be happy." Karageorge said he constantly receives calls from businesspeople expressing interest in the space for a variety of uses, including pizza parlor, convenience store, delicatessen and nail salon, but he is still set on finding the right restaurateurs to take the space. "Whatever's going to be there is going to set the tone for the downtown," said Karageorge, who would like to lease the space to restaurateurs who already have three or four successful eateries. "I call it the Times Square of Fairfield. It's the most visible spot." 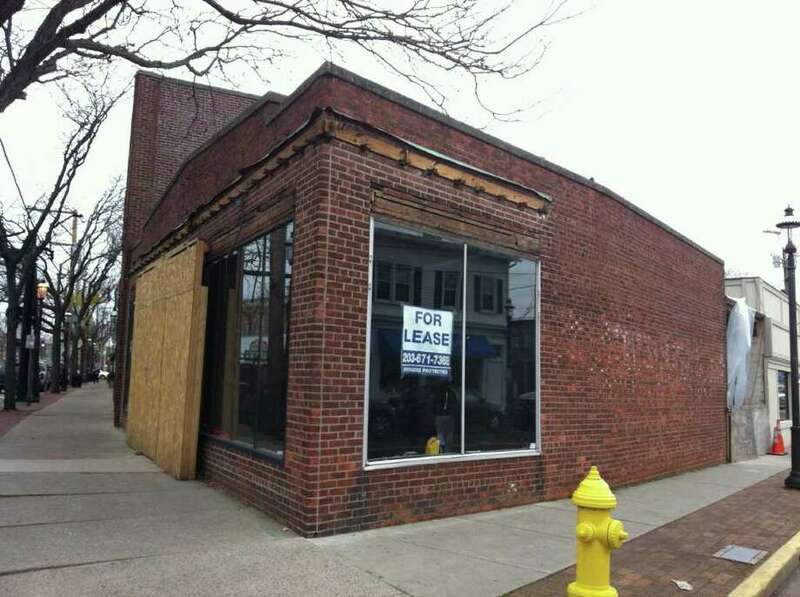 Another restaurant in downtown Fairfield would add to the overall appeal of the area with several eateries, said Mark Barnhart, Fairfield's director of economic and community development. "There's always room for one more," he said, adding that a restaurant at the location would be a benefit to the downtown. "It's a high-profile spot, so we hope something will soon become of it."